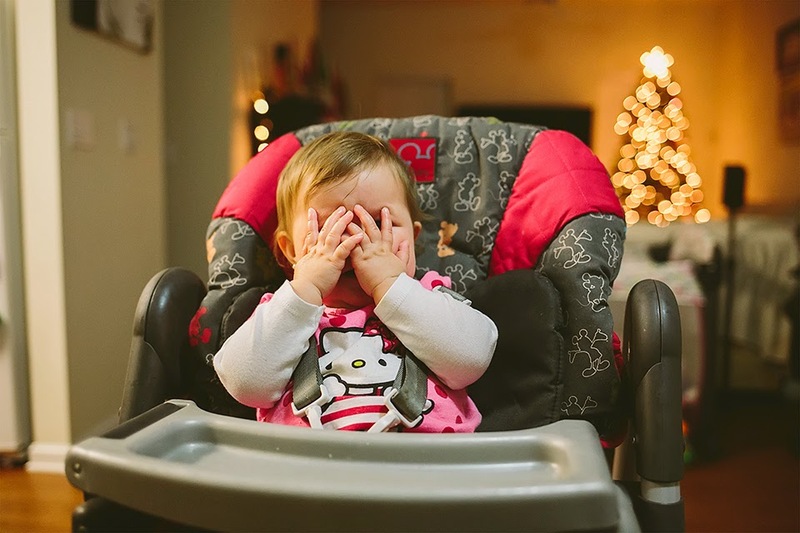 Amelia loves to play Peek-a-Boo. 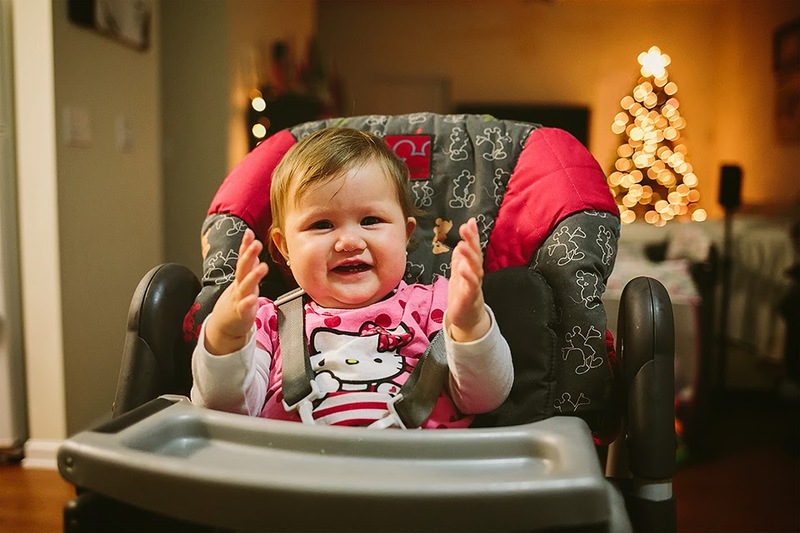 It's pretty hilarious because most of the time, she doesn't make any noises. I would just see her cover and uncover her face, waiting for us to notice her so we could play. 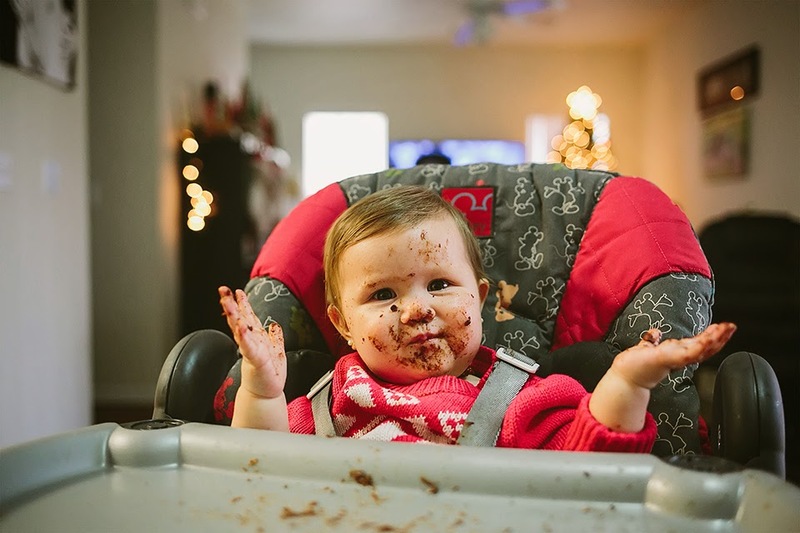 She is so stinkin' adorable that we just laugh even when it gets messy. 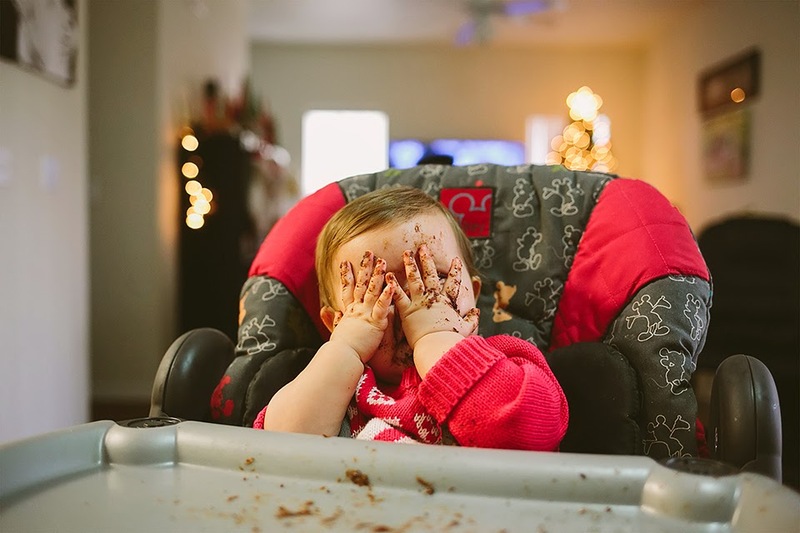 She is normally not a messy eater but she decided to play peek a boo during lunch (peanut butter and Nutella on a tortilla).